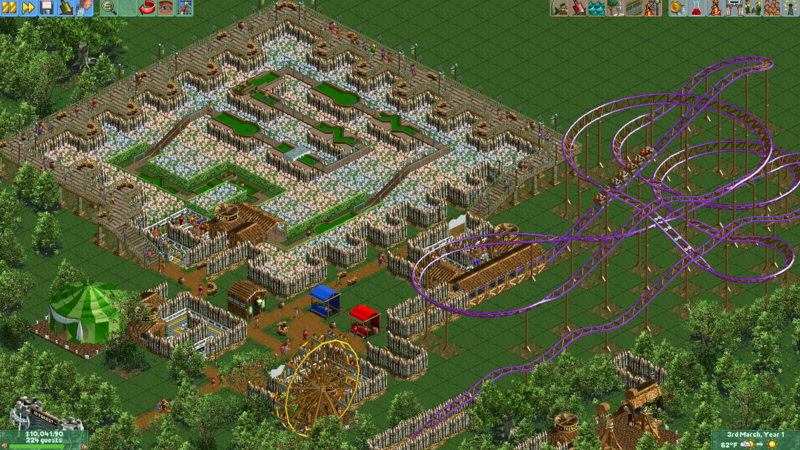 RollerCoaster Tycoon takes the prize as my second favorite game of all time. So much so that it was the subject for the first post I ever published on this website. Since it occupies such a spot on my list, I’ve got some great suggestions for what your definitive experience with the game should be. Sure, you could just buy the game from Steam or GOG and play it without any modifications, but I don’t recommend it. Installed directly as purchased, the game is locked in a 4:3 aspect ratio that will be stretched to your widescreen monitor. In addition, there’s no way to play in windowed mode. No matter how long you play, it’s likely you’ll never quite get used to the squished perspective everything has. On top of the awkwardness of actually running the game, if you buy RollerCoaster Tycoon 2 you’ll be stuck with some ugly, ugly scenarios. The angle is better. The Ferris Wheel is round. The perspective shift doesn’t make things look quite so flat. Things don’t look quite so muddy. It’s an all-around improvement, I’d say. So what’s the secret to the change? OpenRCT2. As stated on the project’s website, “OpenRCT2 is an open-source re-implementation of RollerCoaster Tycoon 2 (RCT2), expanding the game with new features, fixing original bugs and raising game limits.”. 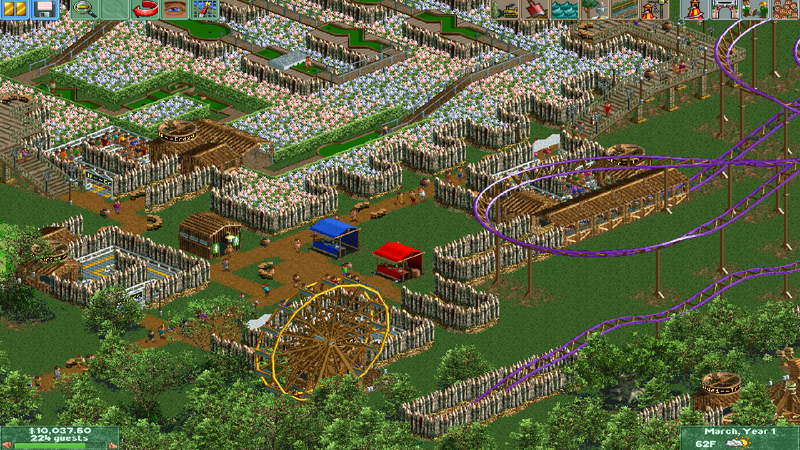 To put it another way, a dedicated group of fans have spent years voluntarily rebuilding RollerCoaster Tycoon and improving it in nearly every way. All of these changes and tweaks are completely legal, since the source code to the game was voluntarily released years ago. The improved version of the game works on modern operating systems and is compatible with a wide array of hardware. It supports windowed mode or plays full screen at nearly any resolution. There’s a debug and cheat menu. And it’s quite easy to import custom scenarios. Ready to play yet? Purchase RollerCoaster Tycoon 2: Triple Thrill Pack from GOG: https://www.gog.com/game/rollercoaster_tycoon_2 Install it on your PC. Download it, and then run the installation process. 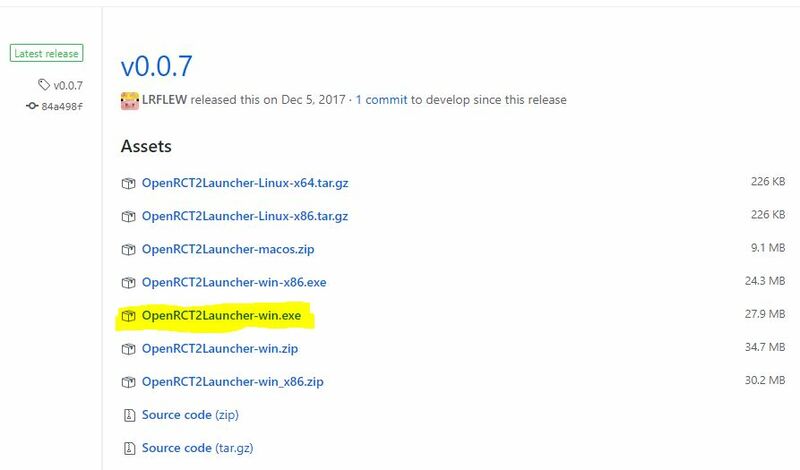 Once the program is installed, remember that you want to run the program called “OpenRCT2 Launcher”, and not the installation of RollerCoaster Tycoon. They are very different! 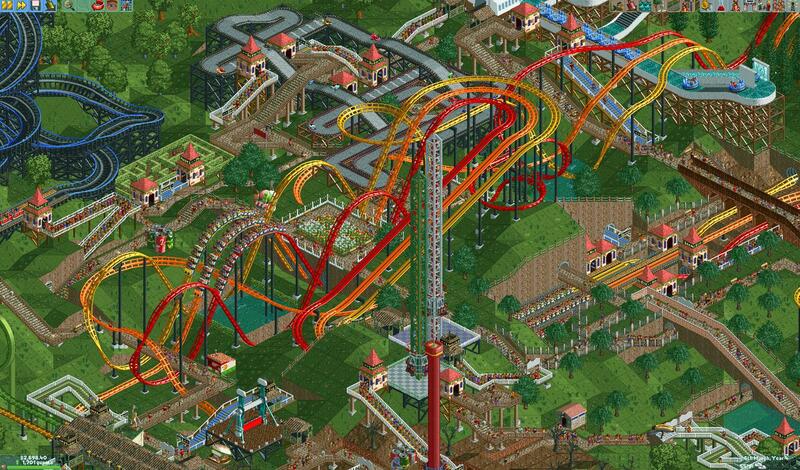 To make your installation complete, you must download and install the scenarios from the first RollerCoaster Tycoon. They weren’t included in the retail release of RollerCoaster Tycoon 2, but the game’s dedicated fan base reconstructed them and assembled them in an easy-to-install pack. The link to the scenario pack is in this Reddit post: https://www.reddit.com/r/rct/comments/1h93gx/more_exact_recreations_of_rct1_scenarios_for_rct2/ The MediaFire link is the one to get. That’s all there is to it! Prepare to enjoy dozens if not hundreds of hours of one of the best PC games known to mankind! If you need any help with the install process, leave a comment and I’ll do my best to walk you through it. ← Deus Ex – Betrayal!